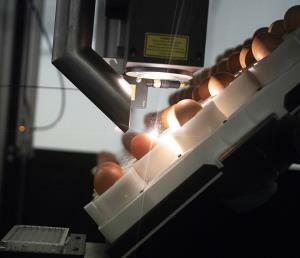 A joint venture between Dutch incubation company HatchTech and German supermarket chain REWE Group has developed a practical gender identification system for commercial-level hatching eggs with funding from the German Federal Ministry of Food and Agriculture. On the 9th day of incubation a sample of allantoic fluid is withdrawn through a laser-produced hole in the shell 0.3 mm in diameter. The fluid is assayed in real time for the presence of estrone indicating an egg with a female embyo. This allows removal of half the setting comprising eggs wit male embryos. According to preliminary studies the outer shell membrane seals the extraction aperture and does not affect hatchability or chick quality. REWE will market commercial eggs designated as derived from pullets “without brothers” This is considered a marketing advantage in a nation increasingly concerned over the destruction of 45 million day-old cockerel chicks. Seleggt GmbH is developing a business model to make the system available as a “cost-neutral” service. Commercial application is anticipated in early 2020. 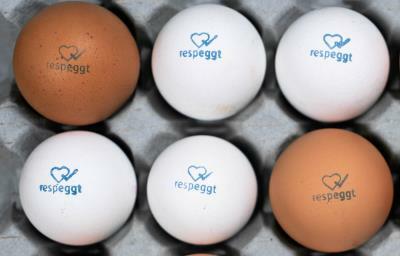 REWE will roll-out commercial eggs initially in 223 stores in Berlin and will extend to 5,000 REWE and PENNY stores in Germany. The integrity of the process will be ensured through blockchain technology. The Federal Minister of Food and Agriculture Julia Klöckner stated “This is a great day for animal welfare in Germany. In this way we will set the pace in Europe. My Ministry has provided around five million euros to support research for promising methods of gender identification in hatching eggs. With the market readiness of the process presented today, Germany is a pioneer. Now it is possible to identify the gender of the chicks in the hatching egg through a needle-tip tiny hole. Male hatching eggs no longe r need to be incubated and killed immediately after hatching. Dr. Ludger Breloh, Managing Director of SELEGGT stated “The Ministry's funding was tremendously important to us, especially during the research phase at the University of Leipzig. I would like to express my sincere gratitude to the ministry for this support.